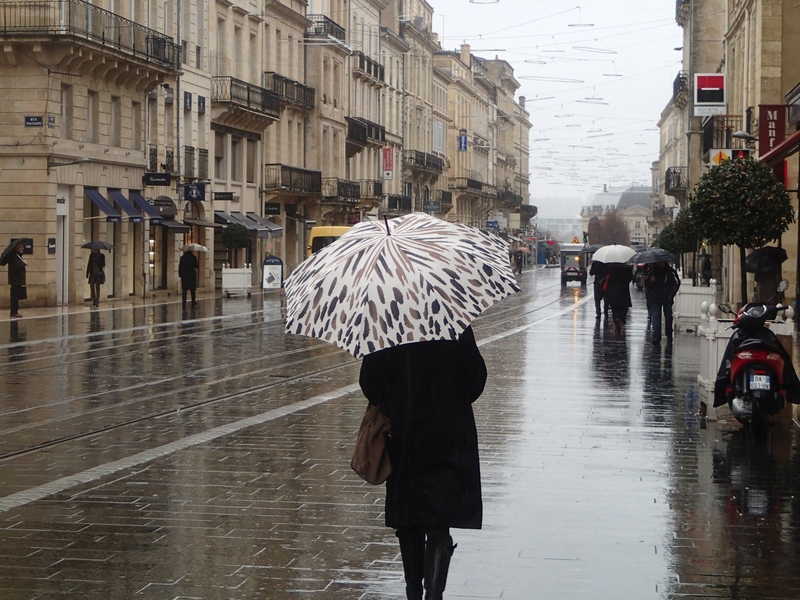 On a trip to Bordeaux, in the winter of 2014, I had the opportunity to make some new acquaintances. When I told them that I was a photographer, they immediately asked, “What do you photograph?” I tried to explain that I photograph what the muse of my spirit either wants or needs. 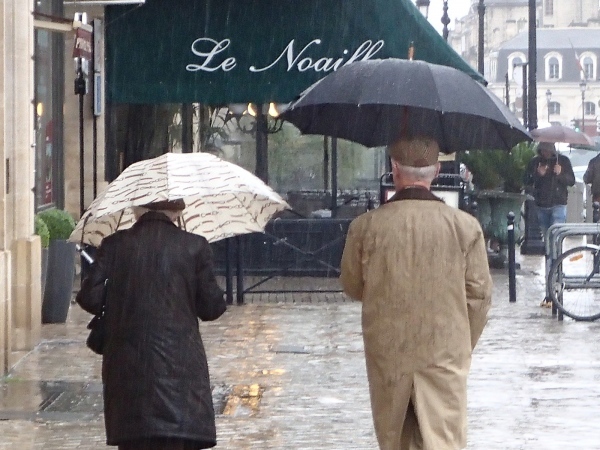 What follows is a wonderful example. 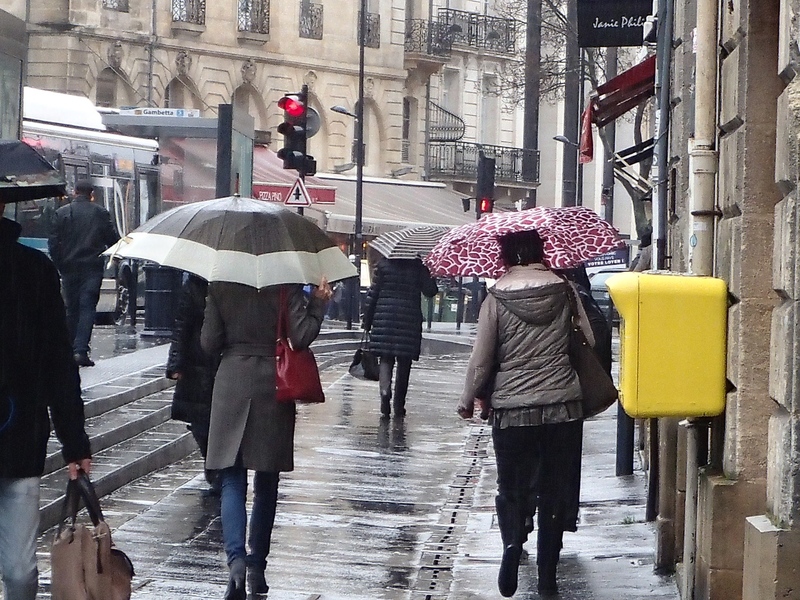 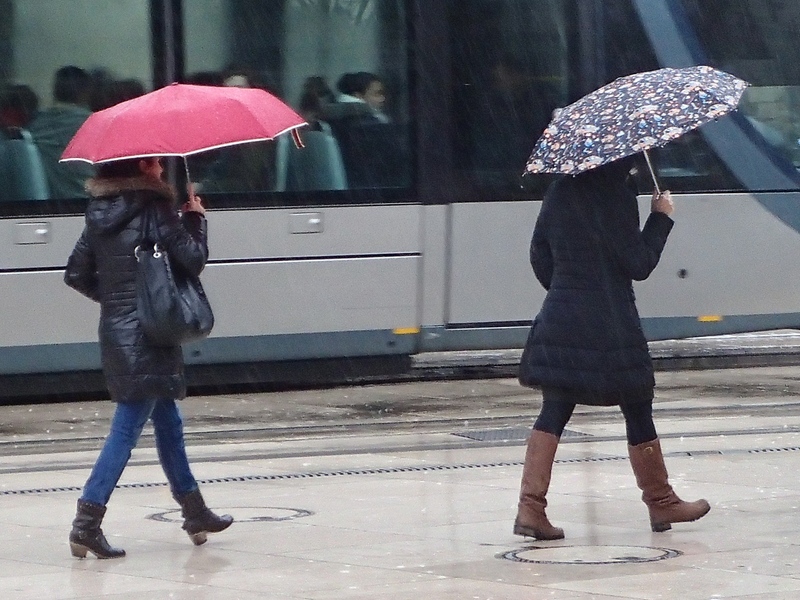 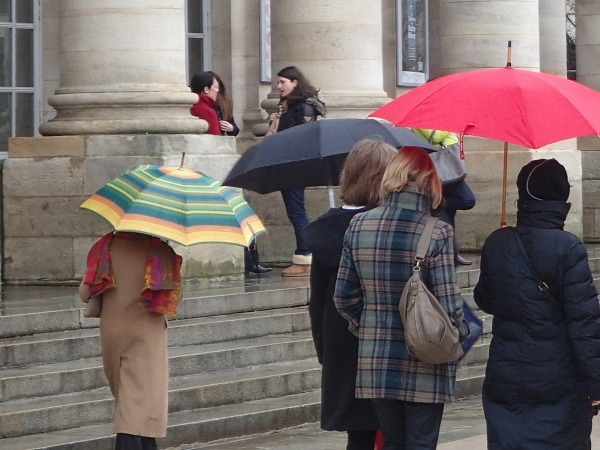 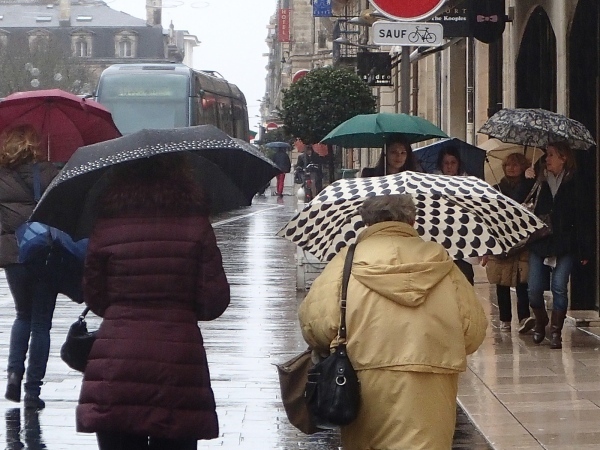 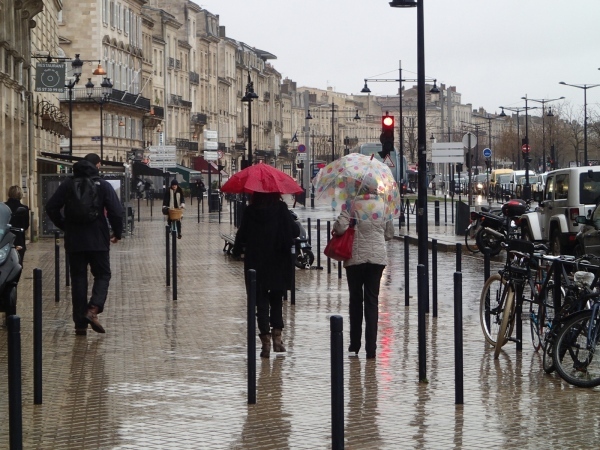 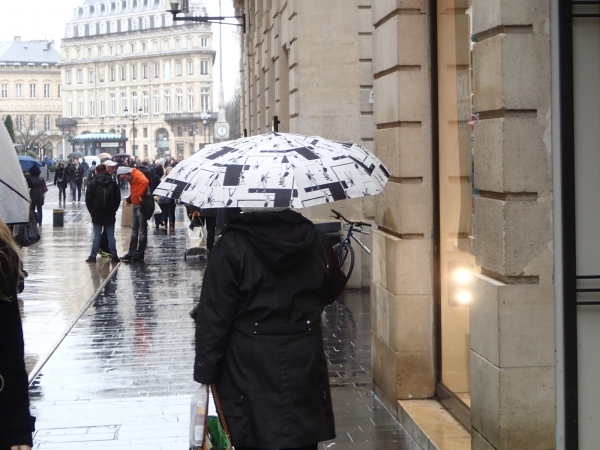 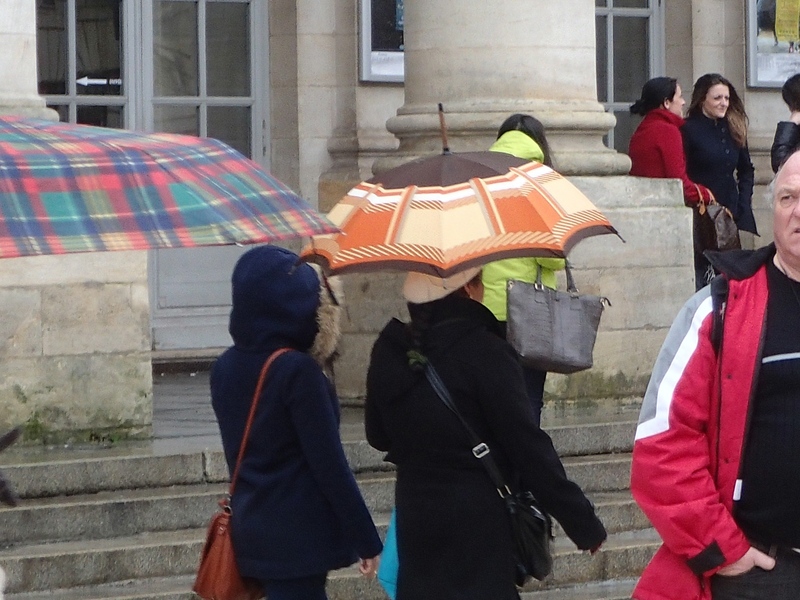 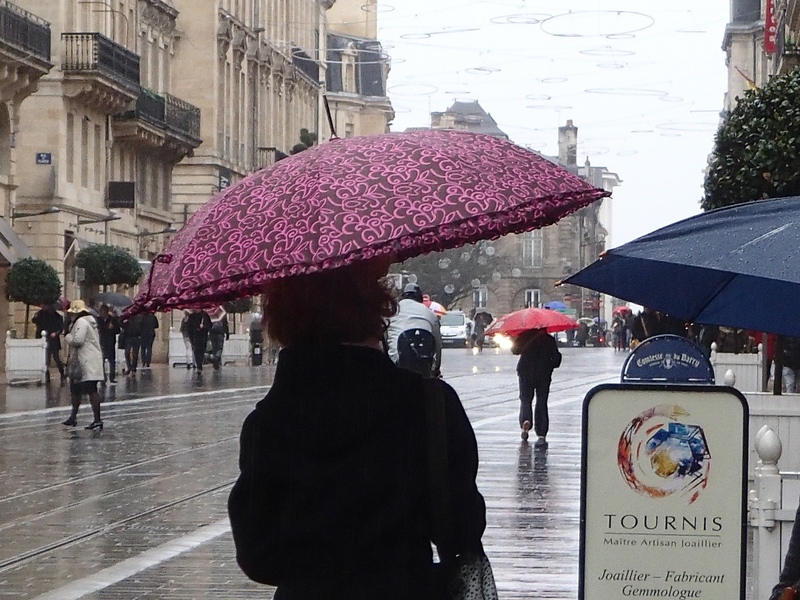 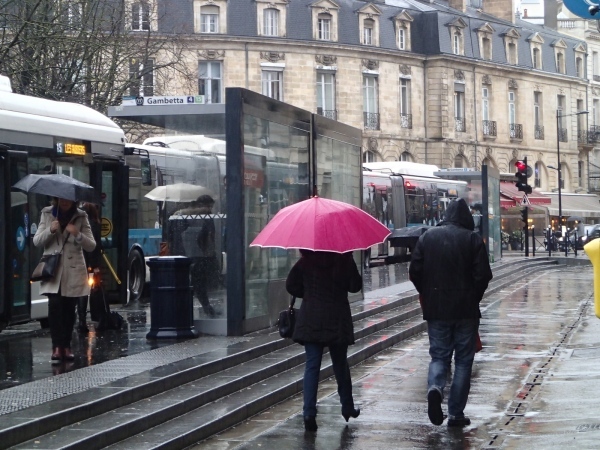 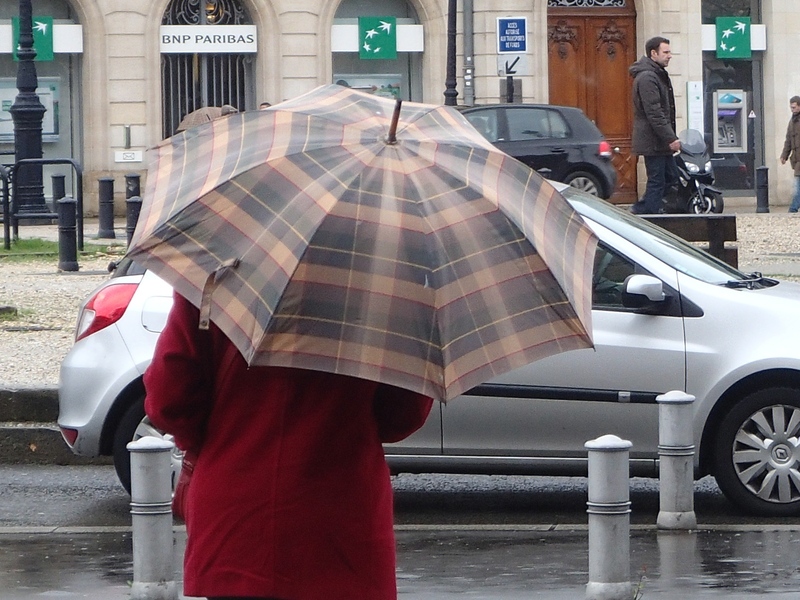 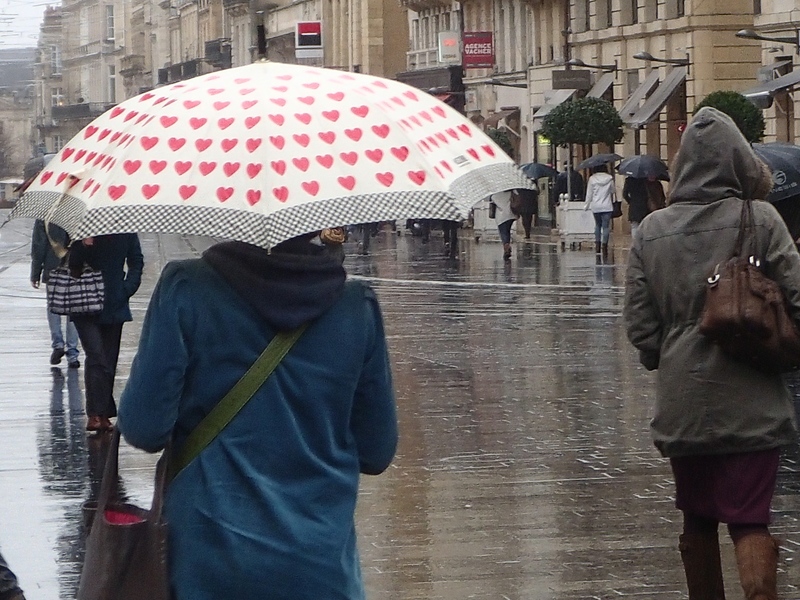 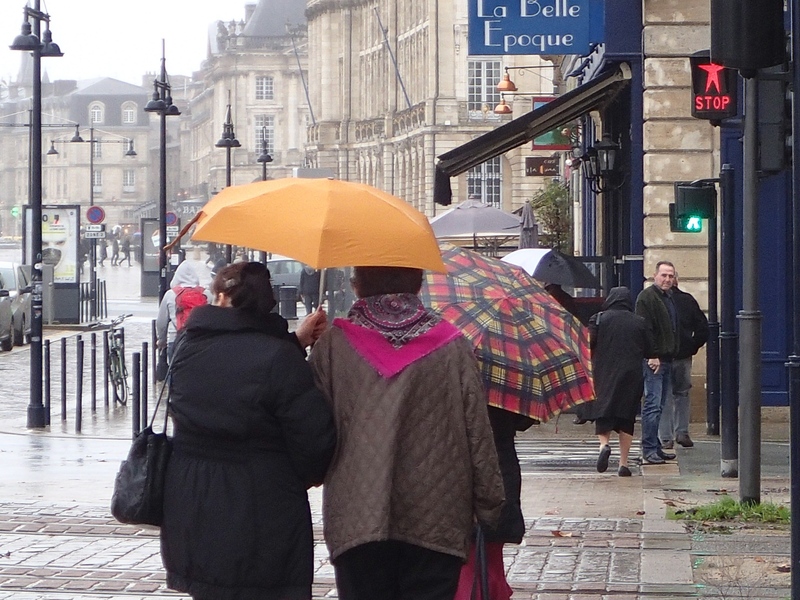 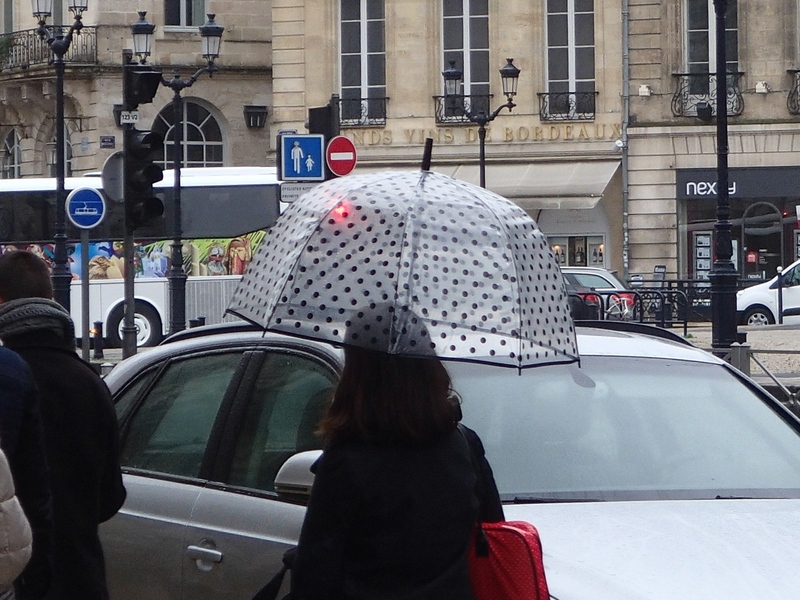 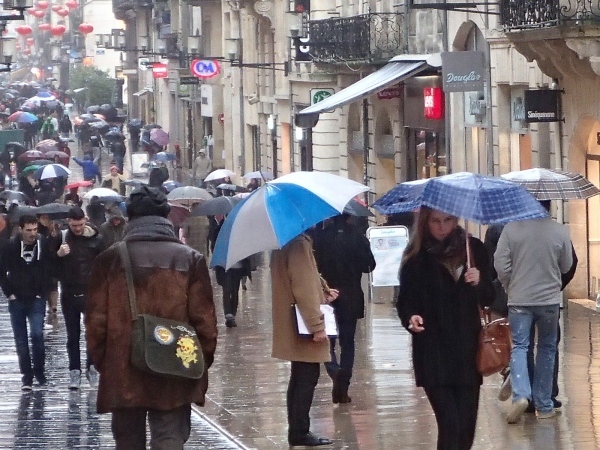 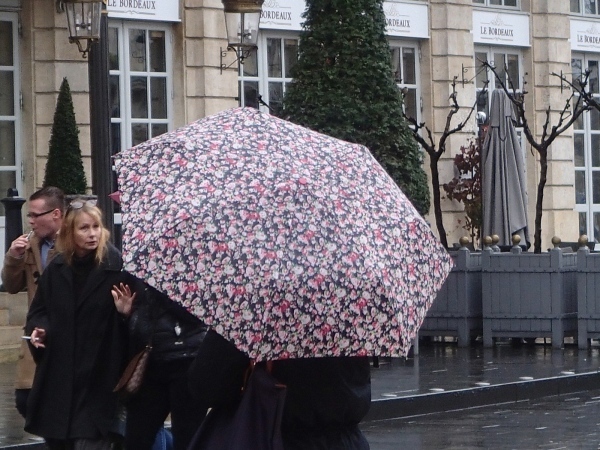 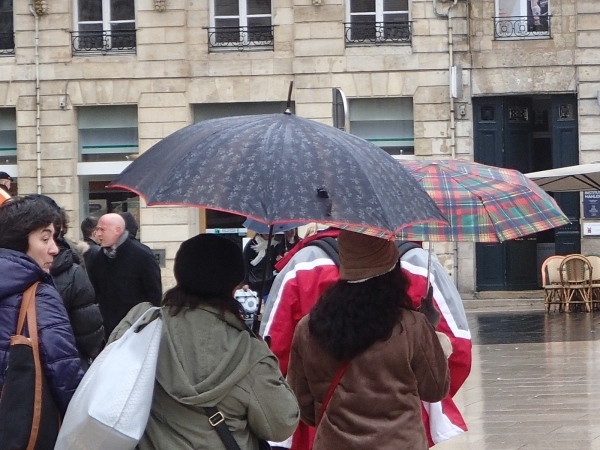 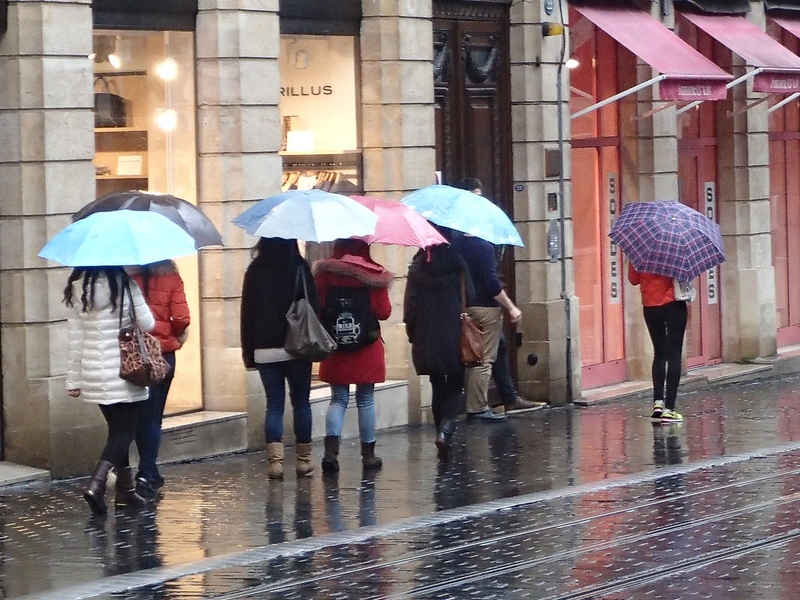 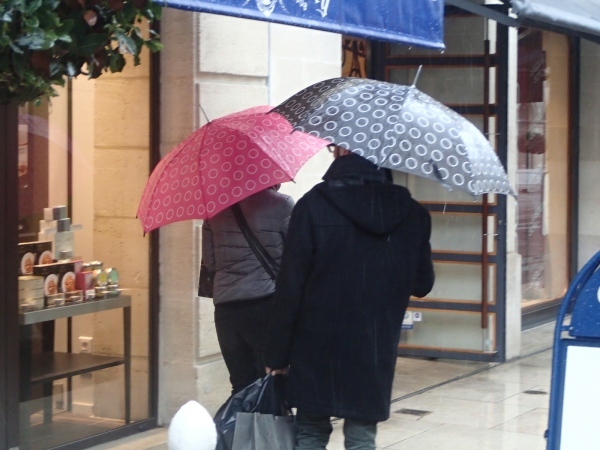 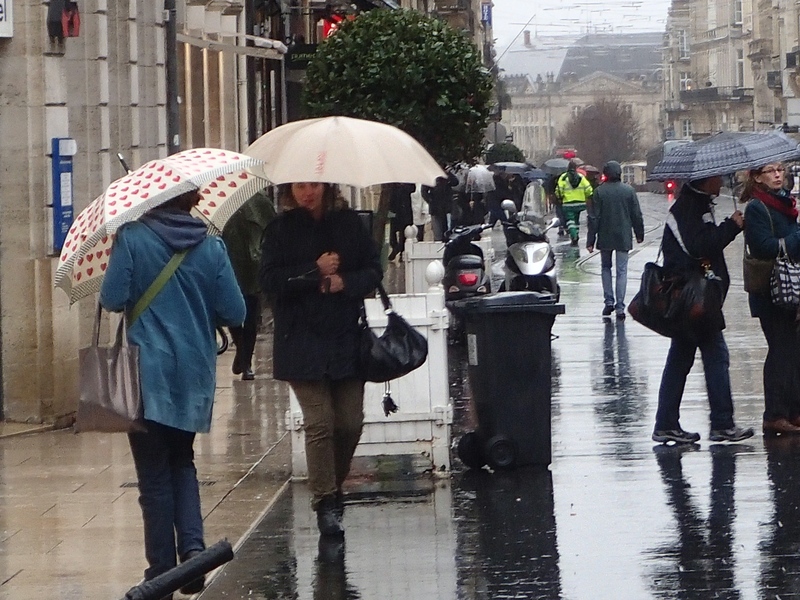 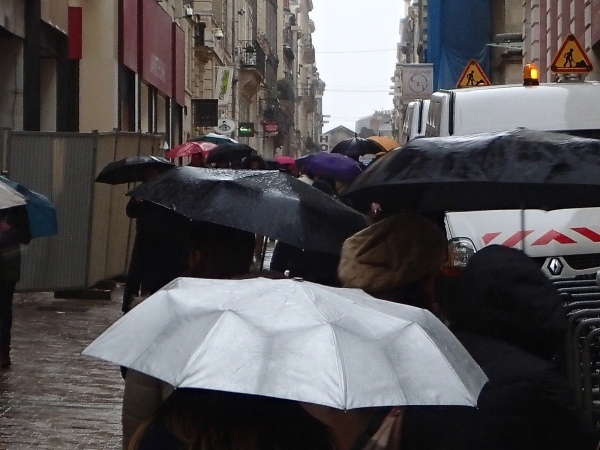 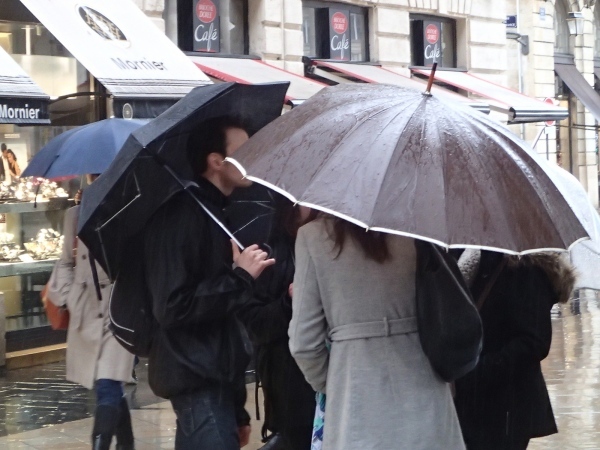 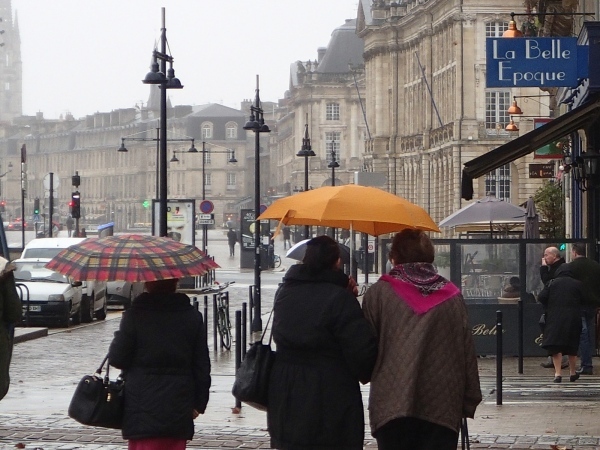 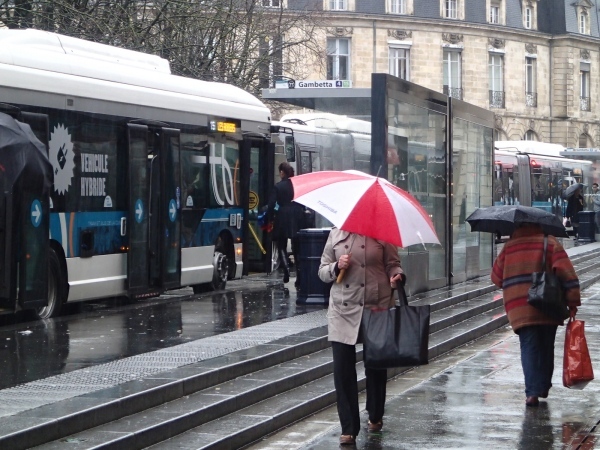 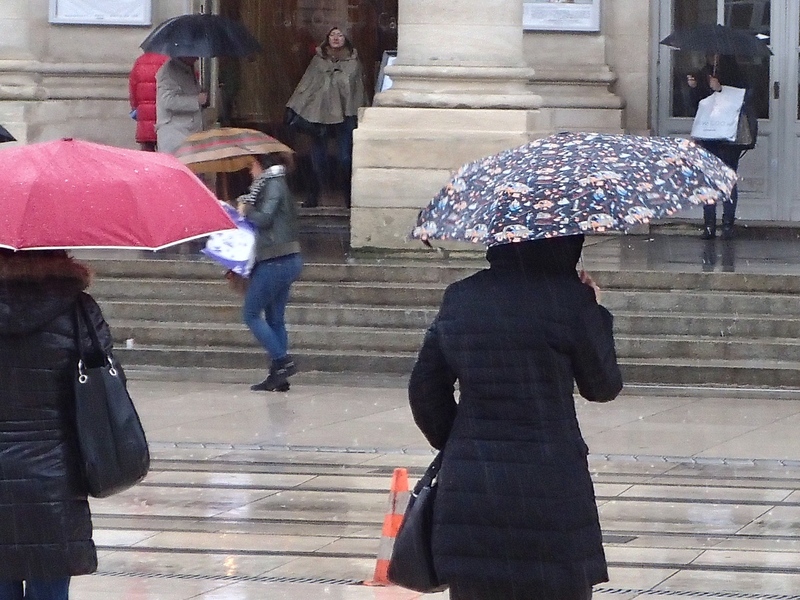 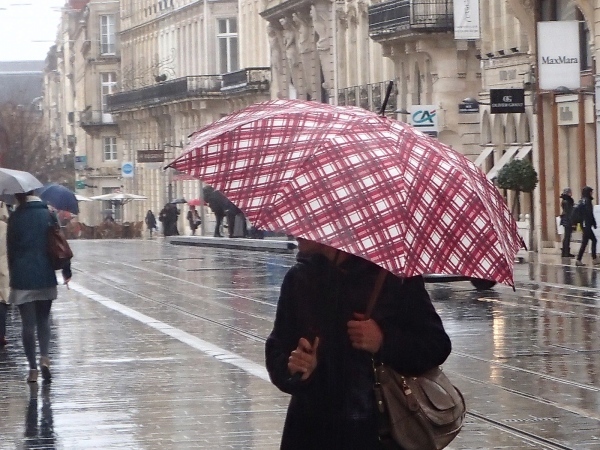 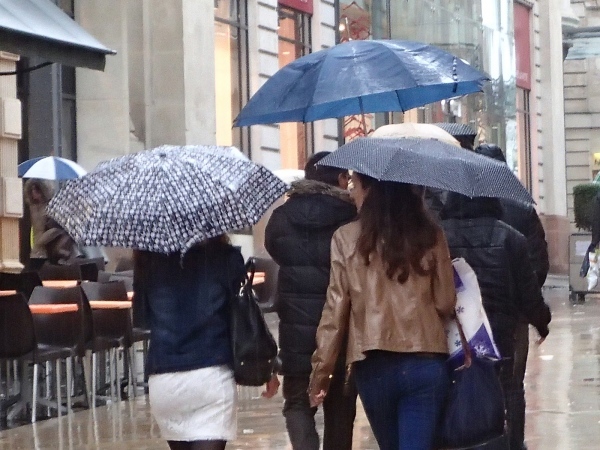 When we arrived in Bordeaux, it was winter just as in Pittsburgh, but instead of snow they had rain, and instead of temperatures below freezing, they were in the mid-40s. 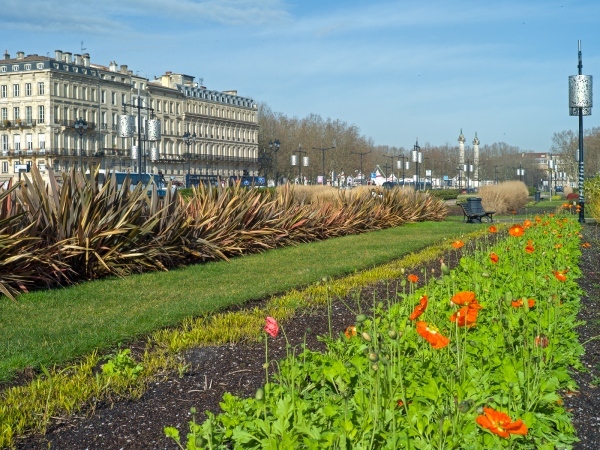 While walking along the Garonne river park, we noticed that several types of flowers including poppies were still in bloom. 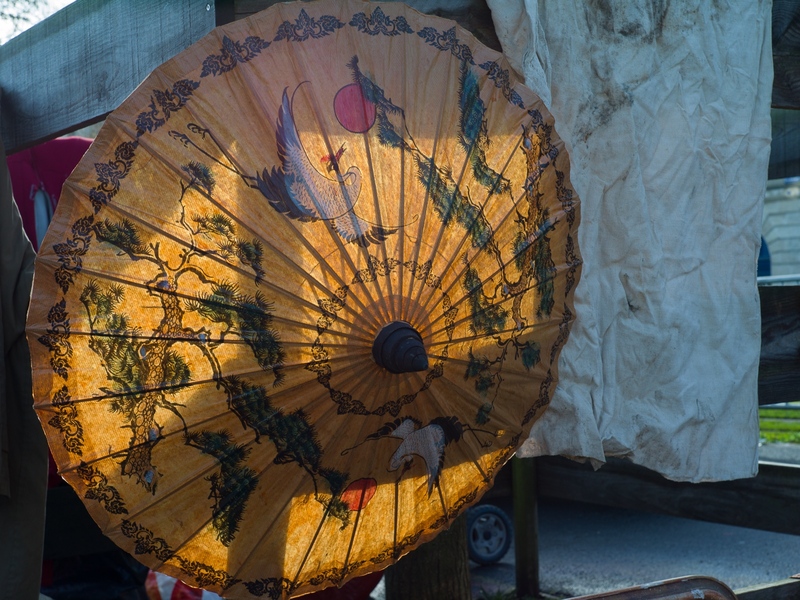 The next day while walking through a street market, I noticed a colorful umbrella. 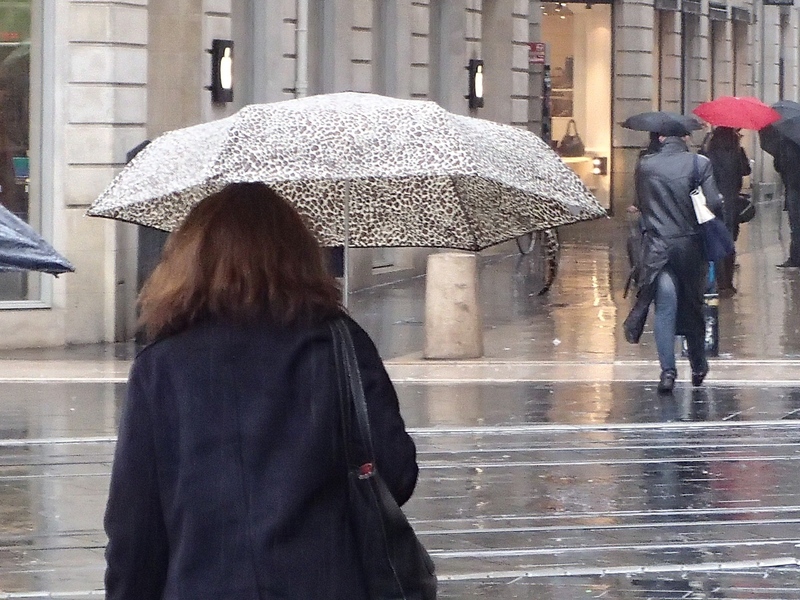 A day or two later, I awoke with thoughts of Bill Cunningham’s work; he is the New York Times photographer who presents the “On the Street” fashion photography every Sunday. 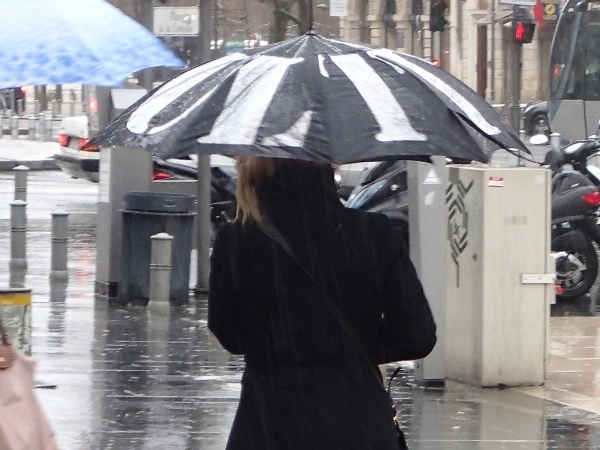 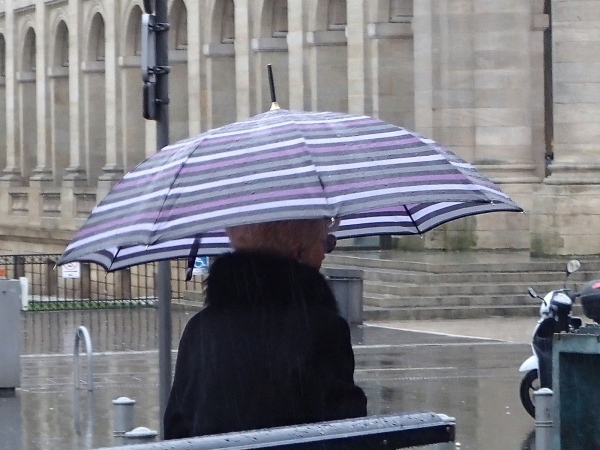 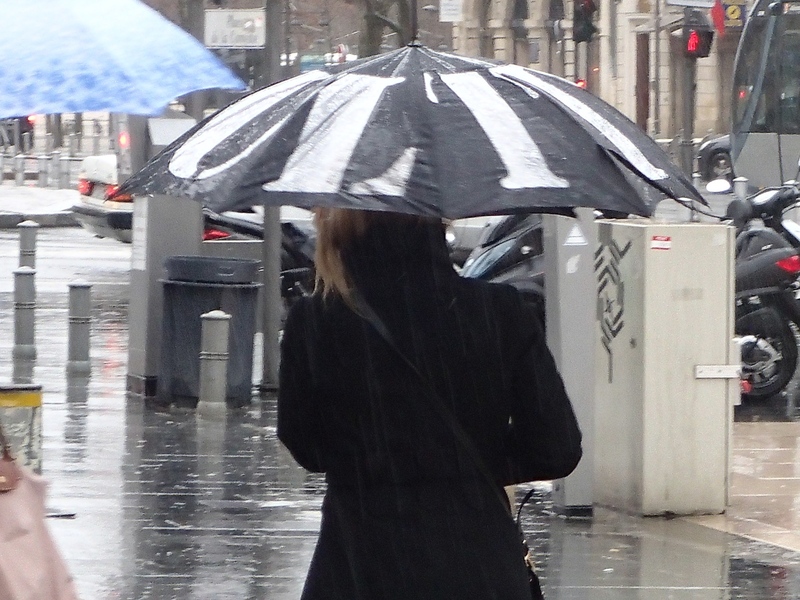 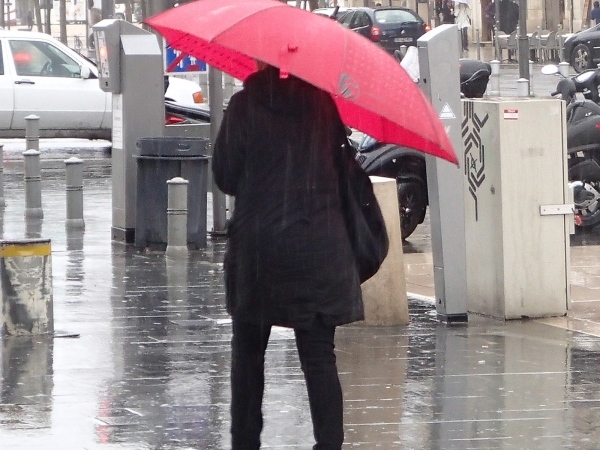 And then I was off, photographing people with their umbrellas. As you have to open or pop-up an umbrella to use it, I decided to name this whimsical body of work the “Winter Poppies of Bordeaux.” I do hope that you enjoy the images.